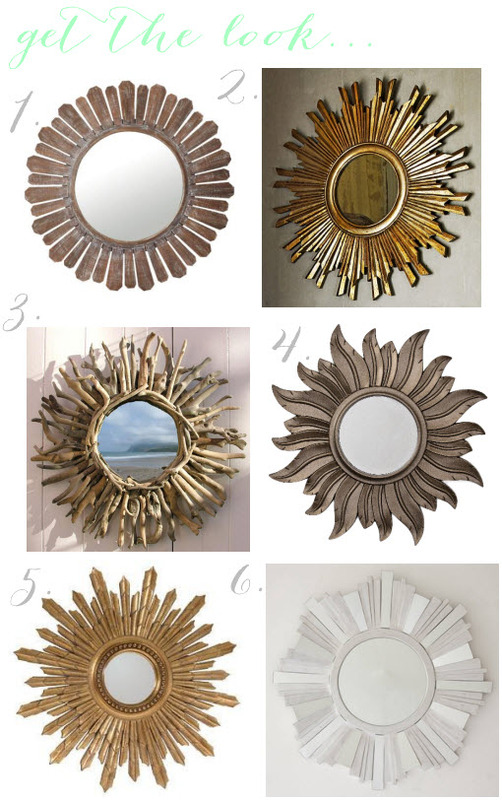 A little obsession has been creeping up on me for a while now, and it comes in the form of a sunburst mirror. They are such a statement piece and have the ability to completely transform a blank wall. And they’re just so, I dunno, happy looking! Wouldn’t you agree? where can i buy any of these mirror’s from i really like the one in your first picture. wow, I never usually preferred these sunburt mirrors but all the pictures you showed have made me changed my mind. I think I’ll consider getting one for my own home in the future! great post! !